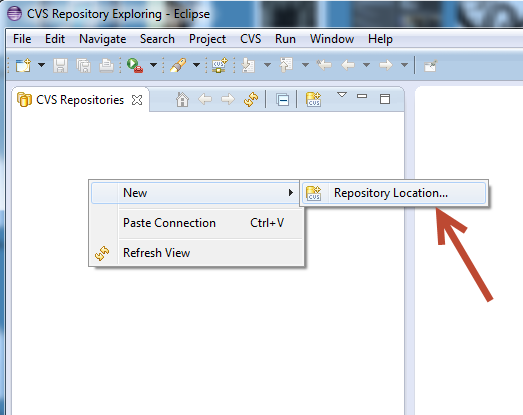 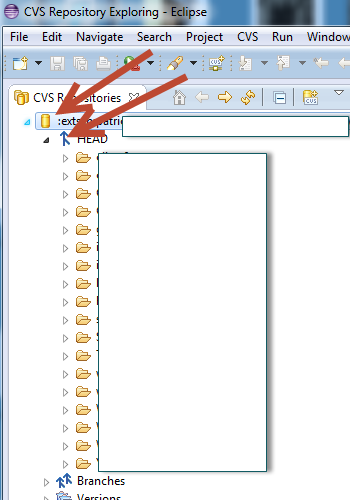 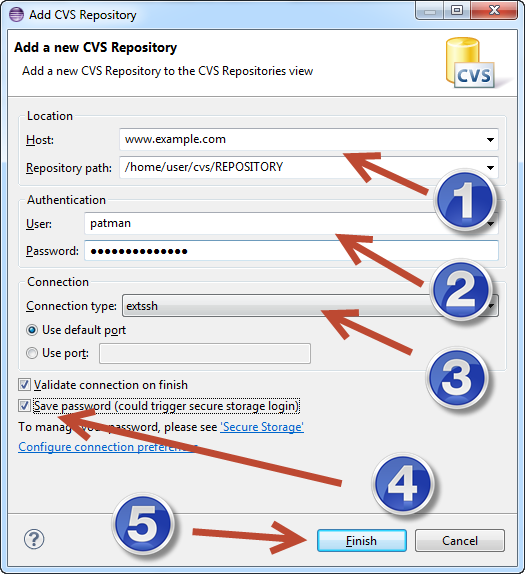 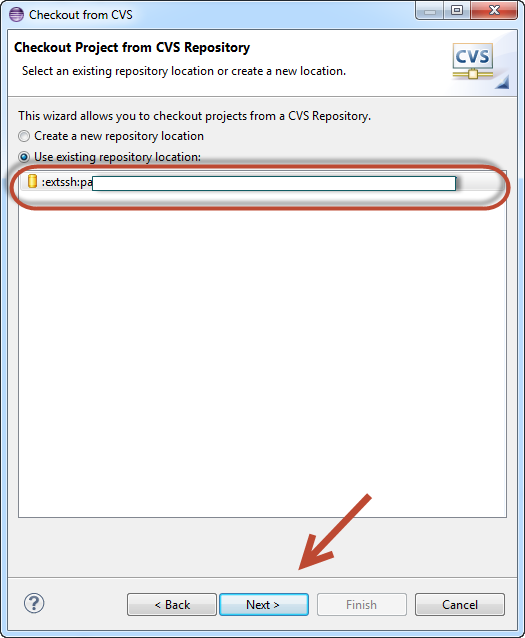 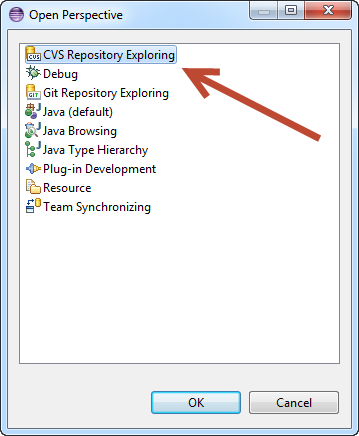 Enter the Host location and the path to the CVS repository on the host. 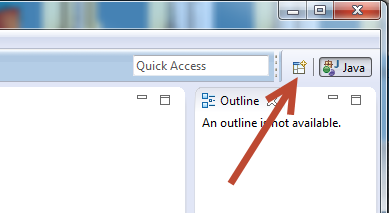 Select extssh as your connection type. 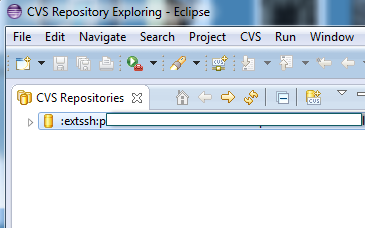 You should now see this in eclipse. 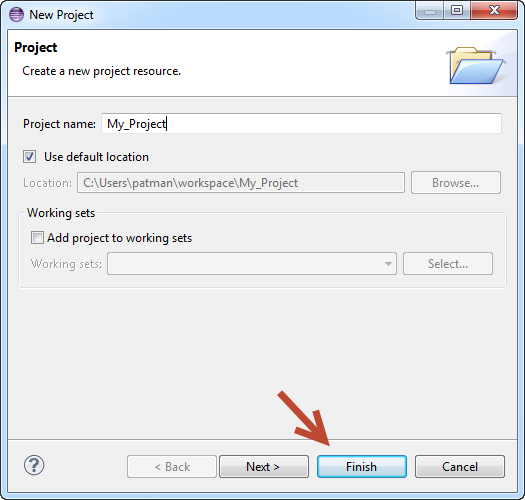 Click on File -> New -> and click Project. 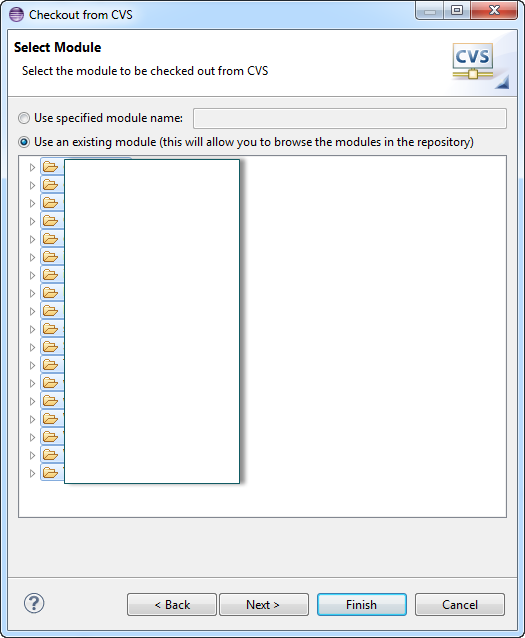 (this will contact the server and get a list of all modules. 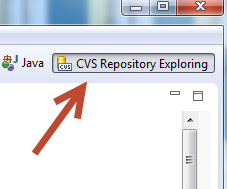 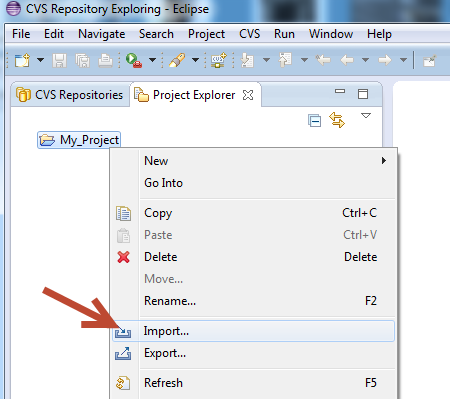 It will now download the files from your CVS repository. 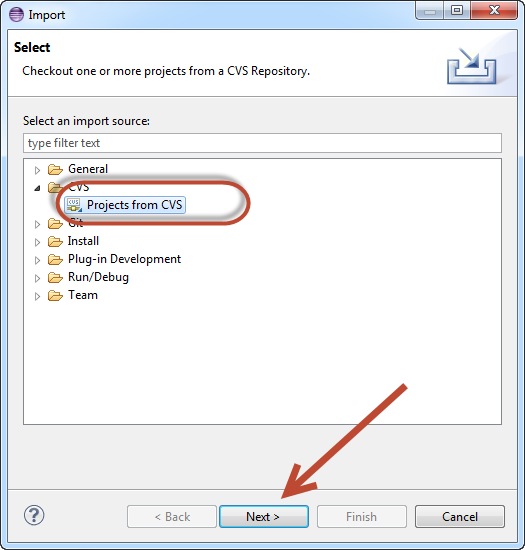 To commit a change to a file back into CVS. 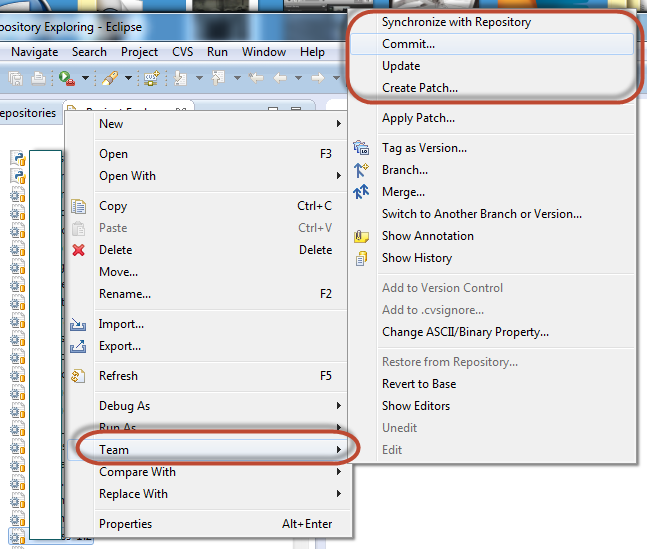 Right click on it and select Team -> Commit. 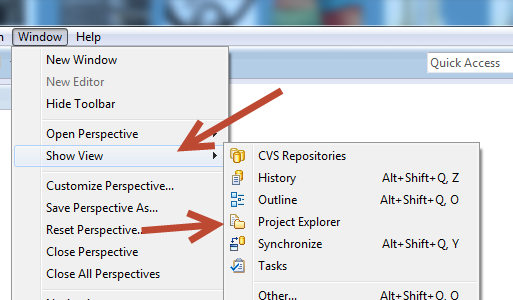 You can also Update, etc from the Team Menu. 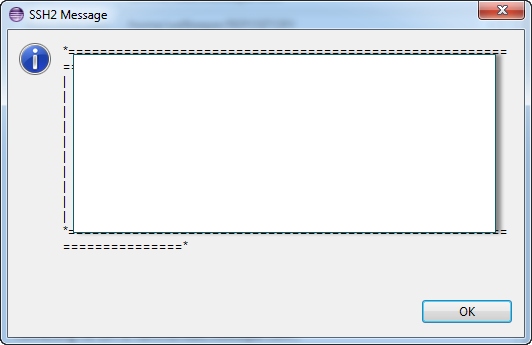 I am not going to go into a lot of special details here, this is just meant to get you started.